Despite widespread opposition in Utah and Oakland, the Utah state legislature has approved a bill to invest $53 million of public funds in a high-risk scheme to ship millions of tons of Utah coal through the proposed Oakland Bulk and Oversized Terminal (OBOT). The Utah Community Impact Board (CIB) originally proposed to subsidize the Oakland export plan using protected funds that are derived from royalties on fossil fuel extraction and dedicated to community investments in Utah. When legal challenges to that plan arose, Utah State Senator Stuart Adams introduced a bill that essentially launders the money by passing it through the state transportation budget. That bill passed the Senate last week and the House yesterday, and is now awaiting signature by Governor Gary Herbert. Herbert is expected to sign the bill despite objections from California leaders, including state Senator Loni Hancock who has proposed legislation in the California Senate to block the project and prevent future coal export terminals in California. In 2013, developer Phil Tagami assured Oakland city officials and the public that rumors he was planning to ship coal through the new terminal on the former Oakland Army Base were unfounded. The plans submitted to the City did not specify any commodities that would or could not be shipped through the OBOT, and Tagami apparently had his fingers crossed behind his back when he disavowed any plan to ship coal. In April 2015, Oakland residents and public officials learned that Tagami had secretly agreed to ship millions of tons of Utah coal each year through the new terminal. Aspects of the deal remain hidden, but the basic contours of the scheme became exposed through public records act requests. 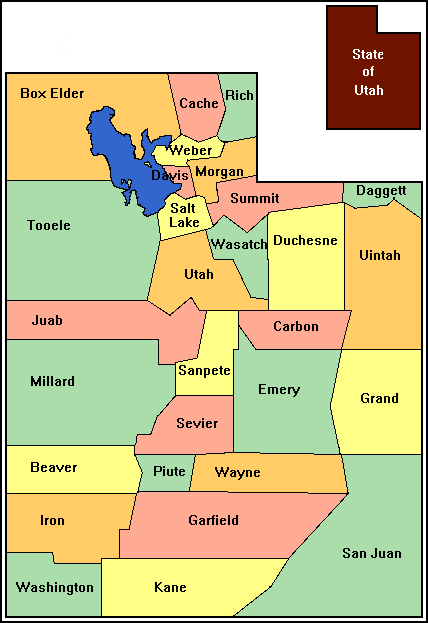 Four central Utah counties (Sevier, Carbon, Sanpete, and Emery) would borrow $53 million from the Utah Permanent Community Impact Fund. The four counties would invest this money in OBOT in exchange for the right to ship goods, including coal, through the terminal for 66 years. On April 2, 2015, the Community Impact Board (CIB) that manages the Fund approved the loan to the counties—and gift to Oakland developers—on an 8-2 vote after a single one-hour meeting, and with no prior public hearing. CIB money comes from rebates of federal royalties from mining leases on federal land and is intended for mitigation in communities affected by mines, not for the profit of out-of-state developers and private coal companies. Typical projects funded by federal mining royalties are roads, recreational and municipal facilities, wastewater treatment and other types of civic improvements in counties affected by mineral development. The coal company behind the Oakland proposal is Bowie Resource Partners LLC. Bowie is a privately owned company, based in Kentucky and focused on a strategy to buy out and grow coal mining operations in the western United States. The company is financed by major banks and private equity firms and is gambling on a contrarian strategy in the collapsing coal industry. Bowie has been buying the assets of companies like coal mining giants Arch and Peabody Coal, which are in or close to bankruptcy. They bought the Sufco coal mine in Utah in the summer of 2013. To make Bowie’s gambles pay off, Bowie needs to find ways to get its coal to overseas markets as U.S. demand for coal plummets. Bowie tried first to get access through the Port of Oakland, but in February 2014, the Oakland Board of Port Commissioners unanimously rejected a proposal from Bowie to use the Port’s vacant Howard Terminal to ship coal and petroleum coke through the Port. At some point, Bowie switched to Plan B: a deal with Phil Tagami that would guarantee Bowie a longterm outlet to foreign markets and a deal with the counties to play a role in funneling cash from the Community Impact Fund into the venture. “The purchase of Sufco by Bowie [Resources] is what’s driving all of this,” said Malcolm Nash, Sevier County economic development director. “It’s all about finding a new home for Utah’s products — and in our neighborhood, that means coal.” He said the proposal has already received a verbal nod of approval from Utah Gov. Gary Herbert. The author of this memo, Jeffrey Holt, would be a prime example of the revolving door between industry and government–except in Holt’s case, he appeared able to work in both capacities simultaneously. Holt is a private sector investment banker for BMO Capital Markets (associated with the Bank of Montreal) and a former executive with Goldman Sachs. For seven years he was chairman of the Utah Transportation Commission and in that capacity served as a member of the Community Impact Board. Holt first resigned from the CIB to work as a consultant for the counties seeking the loan from CIB. Then, in December 2015, he abruptly resigned from the Transportation Commission and moved to New York, claiming a reassignment from his employer. Despite his move to New York, Holt has continued to appear in Utah working on the deal including during the recent activities to promote the special legislation to spend $53 million of taxpayers’ money on the OBOT. Holt’s plan to “downplay” coal has not been successful. Once the deal to ship coal through Oakland was exposed, vigorous campaigns developed in both Utah and Oakland to oppose the plan. No Coal in Oakland and the Bay Area Coal Exports Group have been working closely with allies in Utah including the Sierra Club, Canyon County Rising Tide, Greenaction for Health and Environmental Justice, Peaceful Uprising and Living Rivers to organize opposition. On August 6, 2015, two activists from No Coal in Oakland went to Utah to meet with our allies there and speak to the staff of the CIB. They outlined the pragmatic case that this was a bad investment for Utah because of opposition in the Bay Area. They listed eleven obstacles indicating that the proposal was unlikely to succeed here. These included the divestment from coal by California public pension funds, the thousands of signatures on petitions against coal and Oakland’s City Council resolution opposing transport of fossil fuels through the city. On August 25, 2015, thirteen Utah groups wrote the CIB protesting the proposal to use funds intended for mitigation to instead fund coal in Oakland. In November, the Utah Attorney General received two letters arguing that the proposal to use mitigation funds for OBOT violates Utah and federal law. One was from Christina Sloan, a Utah attorney, on behalf of three Utah organizations and two residents. The second letter was submitted by attorneys from the Center for Biological Diversity, Sierra Club, Earthjustice, and Grand Canyon Trust on behalf of 22 organizations in Oakland and Utah. While the Attorney General of Utah was sitting on the CIB proposal, Bowie and Holt launched an end run around this process, no doubt because of the legal questions raised about the use of mitigation funds. Sen. Adams proposed that sales tax revenue be used to invest in OBOT over two years, money which the CIB would repay. Introduced with just eight days left in the legislative session, the bill quickly passed the legislative hurtles despite opposition that included an eleventh hour editorial by the Deseret News, a major daily newspaper owned by the Church of Jesus Christ of Latter Day Saints. East Bay Express investigative reporter Darwin Bond-Graham reported on the financial ties between legislators backing the bill and Bowie. Gov. Herbert has made public statements that indicate his support for the legislation and his signature on the bill is expected within a matter of days.